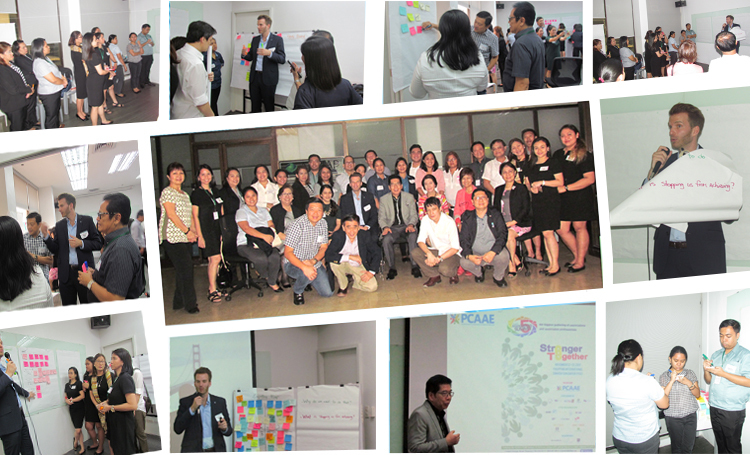 The PCAAE Academy, the professional career development center of the Philippine Council of Associations and Association Executives (PCAAE), conducted a seminar on “Fundamentals of Project Management” on September 4, 2017 at the ADFIAP International Headquarters in Makati, Metro Manila. The seminar covered an overview and workshop on project management. Topics included, among others, definition of project management, project phases, project management lifecycle, project planning, scope statement, project charter, planning phase, communications, work breakdown structure, common project problems, document-sharing and saving, the role of project manager, managing project tools, status report, and project must do’s. The discussions were followed by a workshop on the implementation of project management in associations where the participants were asked to identify projects in their organizations, how these projects are being implemented, what might be the factors to hinder success, and what are potential solutions to these problems. The event was attended by 31 PCAAE members who had earned credits under PCAAE’s continuing education CPAE Program. The Certified Professional Association Executive (CPAE) program was developed to further professionalize association governance and management in the country. It offers excellent opportunities and growth for those already working or those considering to work in the association sector such as board members, management, staff and professionals. The resource speaker was Mr. William Boivin, Society Relations Manager Asia-Pacific of the Chartered Financial Analyst (CFA) Institute based in Hongkong. For more details of the about this seminar, PCAAE and CPAE, please email the PCAAE Secretariat c/o Boyet Florencio at [email protected].